Genos was launched in 2016 in San Francisco, CA, with the aim to change the status quo in health and wellness discovery from the ground up. The company is anchored by the principle of individual ownership, meaning that people should always be in control of their own DNA data and able to employ it for their own or shared value (i.e. sell it). Apart from exploring your unique DNA signature, Genos is also committed to reducing institutional control of your DNA, which also prevents scientific progress. Genos was recently acquired by NantOmics, a biotechnology company specializing in molecular diagnostics products for personalized cancer treatment. 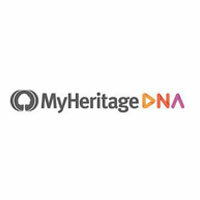 This gave it a powerful partner in its mission to learn about the genetic heritage that we all share but that makes each of us unique as well. Keep reading our comprehensive Genos review to learn all about the company’s service and its vision to understand, prevent, and treat diseases that impact all of us. Placing an order – After the company receives your order, the Genos Whole Exome Sequencing (WES) requisition form will be emailed to you (it will also be included in your kit). After your personal physician authorizes the test by signing the form, simply send the paper copy back with your testing kit. Alternatively, you can send the digital copy to orders@genos.co. If your physician has additional questions about the Genos WES, they can contact the company through the same email or at 415-300-4477. Your testing kit will be shipped 1-2 work days after the company receives your order and you should receive it 3-5 work days after it has been shipped. Note that the physician authorization must be sent within 90 days of placing the order. Kit registration – After you receive the testing kit, make sure to register it on the official website. You will be prompted to sign the Genetic Testing Consent during registration. 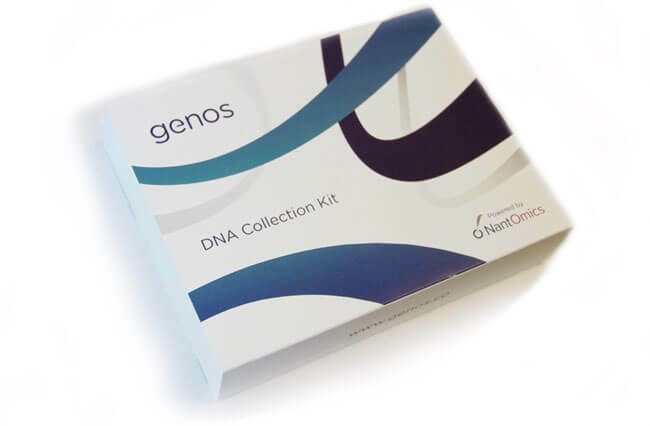 Collecting the sample – Genos DNA test utilizes saliva samples for DNA extraction. Your personal testing kit will come with a secure saliva container that will make sure your sample does not get contaminated during shipping. Sending the sample back – Once you collect and secure your saliva sample, you can simply send it back to the lab for further processing. Shipping is free both ways, so you do not have to think about any additional costs. Receiving your results – Your final report should be generated around 60 days after the kit reaches the company’s lab. You will receive progress updates throughout the entire process and, once your report is ready, you will be able to explore it in a wide variety of ways. Your physician will also get a copy of the report. Genos also features detailed kit handling instructions on its official website. Billing details – Name as it appears on the card, card number. If you want to join Genos, you must be at least 18 years old. The company is currently working on expanding its service to include minors and you can join the waiting list to receive an update when this option becomes available. Genos test is not a clinical test, meaning it is not designed for preventive, diagnostic or clinical use. In other words, it does not test for any specific genetic disease or condition or provide users with risk assessment. Genos test is designed to sequence your entire exome and the company performs it in a CLIA-certified laboratory. The sequencing covers the full set of human genes (protein-coding regions), which includes more than 20,000 genes and regions. Genetic sequencing will provide you with information about your genotype, which represents the makeup of your specific genes. It will also inform you about your phenotype, which is your set of unique observable characteristics, such as traits, behavior, and health. Note that this report depends on your genotype and your social and environmental factors. This is why Genos strongly encourages its users to build their own reported phenotype profiles as they explore the service in order to enrich their experience and learn even more about themselves. Genos test can uncover all the information encoded in your DNA. The exome covers the segments of your DNA that code for proteins, which are the most functional parts of your genome. This is the main focus of modern genomics research since more than 85% of known disease variants can originate in the exome regions. Bottom line, exome sequencing is an affordable tool that helps you understand the majority of your genomic information. As we already mentioned in the previous section of our Genos review, the test utilizes saliva samples to extract your DNA and enact the sequencing process. The DNA in saliva comes from cells that are shed from the inner linings of the mouth, which means that the amount of DNA in saliva can vary from one person to another. It may happen that your saliva does not contain enough DNA for testing. Therefore, your test may fail due to insufficient DNA even if you follow all the steps listed in the collection instructions. Genos will provide you with a raw file that holds a complete list of identified genetic variations detected in your DNA sample. This identification is achieved by comparing your sample to the standard reference genome. These covered variants are what makes you unique – they will influence everything from your physical appearance to your personality traits. The company will also provide you with a digital view of your genes with detected variants and assessments documented in ClinVar (NIH database of reports from laboratories and researchers about the relationships among phenotypes and variants with supporting evidence). The available features include zygosity, population frequency, and protein changes specific to each variant as well as related health traits. Separately, you can also take a look at a list of unique traits associated with your specific variants. Genos test costs 499.00$ and checks more than 50 million genetic markers. To put things into perspective – commercial ancestry DNA tests cover less than 1 million loci. On the other hand, Genos pulls all of its “findings” from third-party databases. In other words, the company has not actually verified any of the mentioned assessments and will not be held responsible for the accuracy of the provided information. Finally, Genos does not interpret your genetic results or help you understand them in any way. However, if you have any questions about your genomic data, you can connect with the company’s network of independent genetic counselors at a preferred rate. Genos utilizes a wide range of technical, physical, and administrative procedures to safeguard the privacy of your personal information, which includes your participant content and genetic data. Registration information – The info you provide when registering and/or purchasing the test. Genetic data – Information regarding your genotype, including genes and variants. 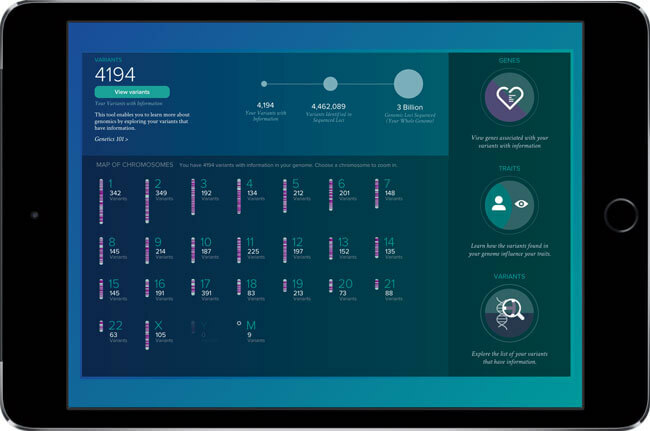 Participant content – Your gender, age, disease conditions, personal traits, other health-related information, family history, ethnicity, and other information you enter into forms, surveys or features while using the Genos service. User content – All information besides your registration info, genetic data, and participant content you might upload while using the service. Web behavior information – Your browser type, IP address, domains, page views, and other information collected through cookies, log files, and web beacon technology. Genos will never share, sell or lease your information without your explicit consent. Aggregated (anonymous) data may be used for research purposes and to improve the service provided. With your consent, it will also be used in different scientific studies. Genos will share your information if required to do so by law, but also if the company enters into commercial arrangements to enable its collaborators to provide its service to their customers or to provide you with access to their products and services. Genos ships to all US states except NY, NJ, MD, and RI. The company currently does not ship outside of the US, but you can use the aforementioned email address to contact its support staff and get notified when its product gets a commercial launch in your country. 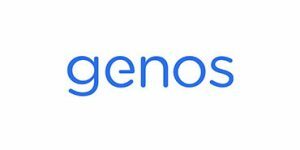 Genos is a very impressive company that translates the latest scientific breakthroughs in the field of genomics into affordable direct-to-customer services you can use from the comfort of your own home. Its sequencing process covers the entire human exome with 50 million genetic markers checked, which provides users with valuable data regarding their genetic composition. The company currently does not offer any screening options that can determine your potential risk of certain genetic diseases and conditions or pinpoint your ancestral background. However, the team is constantly working on expanding the service, so these options will probably be introduced soon. We hope our Genos review answered your questions about the company and its service and helped you reach the right decision when it comes to uncovering the secrets locked deep within your DNA. Our ratings are the result of an objective and independent evaluation of Genos , generating the final rating that reflects the overall quality of the company. Ratings may change as the service changes. Genos user rating based on 2 user reviews. Was really impressed with the service as there's a ton of different to sift through once you have your results. I've learned that the company was bought out though, so I requested that all my data be deleted immediately. You can never be too careful. Interesting stuff, but i didn't learn much more than 23andme already showed me. We found 0 verified Genos discounts for April, 2019.